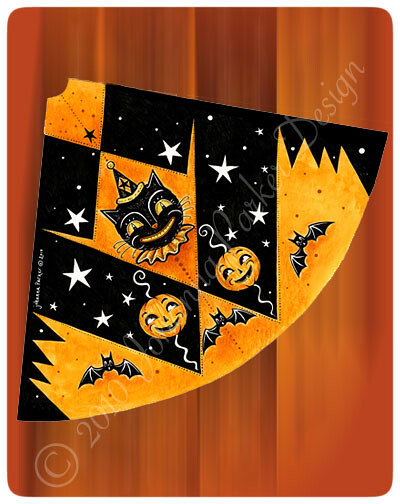 For the past 7 years I have designed at least one new illustrated paper hat for my Halloween folk art originals to wear. 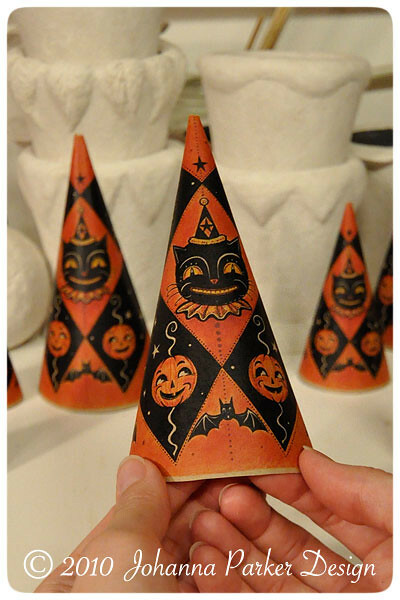 When I release my fall collection of one of a kinds, you will see the hats appearing in a variety of sizes and worn on the heads of a select few of my characters. I am a little slow at completing my hats this year, but luckily I have just finished a batch! You can take a peek at what I have so far! 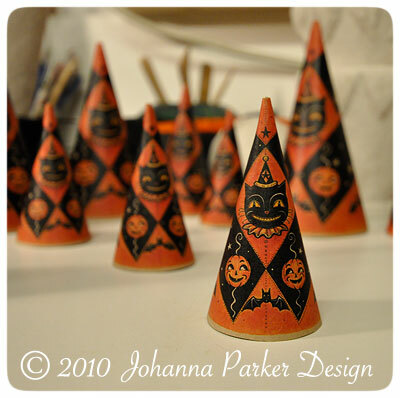 Adding my signature hats is a fun way for me to share my love for illustrating with my fondness for papier mache. It's a mixed media approach to my art that completes the package and gives the work one extra step of uniqueness. ENJOY and keep an eye for the various characters who will be sporting these hats soon! to by worn by a papier mache folk art character!